Calabash Cove in St. Lucia is even more luxurious than you have heard. To my immense pleasure, I was recently able to spend a week at Calabash Cove I cannot emphasize how much I truly enjoyed the tranquility of the resort, the luxury Calabash offers, and the stunning grounds. My room was a beautiful Junior Suite Ocean View. There was a fabulous balcony with a large cushioned lounge as well as a small table for two just large enough for a quite breakfast for two. The view of the ocean with more of the hills of St. Lucia in the distance was just stunning both during the day and while lit up in the evening. The pool at Calabash Cove is a very stunning with it’s infinity edge that makes you feel like you can swim right into the ocean. There is a swim up bar with friendly bartenders who are ready to make you the drink of your dreams. Calabash Cove’s beach is set in a quiet cove with lounge chairs in full sun or under natural shaded canopies. The sand has specks of the black sand which St.Lucia is famous for and feels divine under your toes. Kayaks and snorkel equipment are available for the guests and I truly enjoyed my kayak trip around the bend. While St. Lucia is known for its great food, the food at Calabash Cove is even better than you could anticipate. Fantastic menus offer a variety of dishes all of which will have your pallet celebrating with joy. 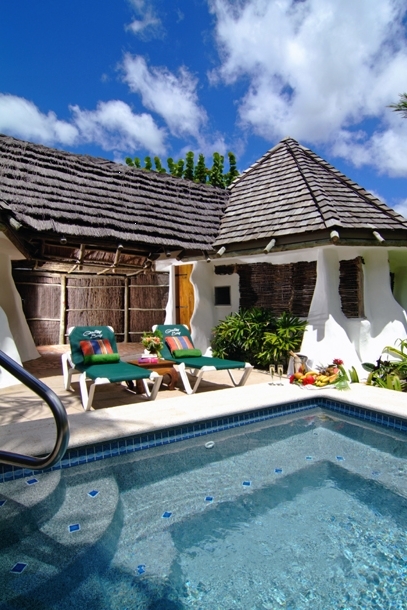 I absolutely recommend Calabash Cove for couples that want a romantic getaway, Destination weddings, single travelers wanting peace and quite and even small groups who truly enjoy luxury and fantastic service. Contact me today for your free quote to Calabash Cove. I would love to help you and tell you more about my personal experiences at this fantastic resort on my favorite island in the Caribbean. 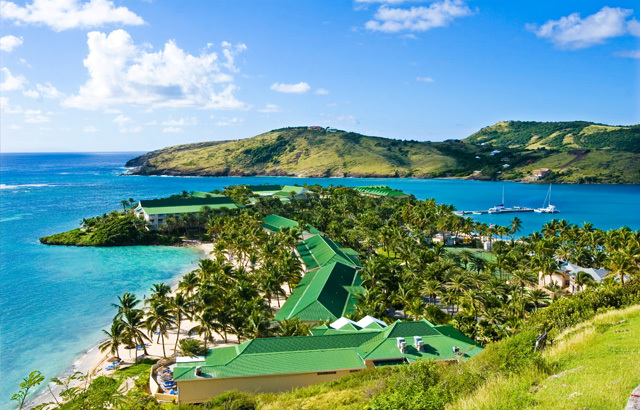 Most airlines now offer you direct flights to St. Lucia. 1. Upon arrival at Sandals Halcyon all guests were seated at the lobby where a formal check-in process began followed by a short group tour of the property. Having a Butler, we were whisked away and were able to do the check-in process in our very own air-conditioned room. 2. While checking in, after a long day of travel, a beautiful assortment of fruit, cheeses, and drinks we presented to us while we checked in inside our air-conditioned room. 4. 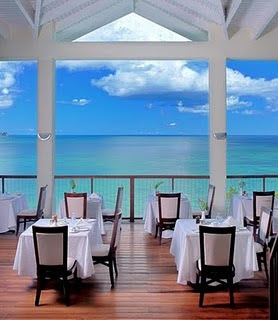 Having done some research ahead of time, I knew what Sandals restaurants I wanted to dine at while in St. Lucia. My Butler happily took my list and went to make all our dinner reservations for the week. Then, one day, we needed to change our reservation time and our Butler took care of that for us as well. 5. There are 3 Sandals Resorts in St. Lucia and if you stay at any one of them you can enjoy the amenities of all three so even though we were staying at Sandals Halcyon, there is a fabulous restaurant at Sandals Grand I wanted to enjoy but it is only open to those clients who have Butler service. This restaurant, Gordon’s, is located out on a pier in the ocean and they have fantastic blue lighting under the water so you can see all of the fish while dining. The food and wine were amazing and I highly recommend this restaurant to everyone. 6. Butlers are more than willing to run errands for you. At some point in our stay we needed a few amenities such as suntan lotion and a comb and all we had to do was call our Butler on our private cell phone (given to us by the resort) and she went to the gift shops to find these items for us and bring them to us wherever we were on the property. 7. We had some rainy nights and on one of these rainy evenings I decided to retire earlier than my husband. When I arrived at my room my room key chose not to work. Being in high heals, a dress, and in the rain, I whole-heartedly did not want to walk all the way to the front desk to get a replacement key so I pulled out my fabulous cell phone and called my personal Butler who arrived within minutes to let me in to my room. He then took my old key to the office and got me a new key made. I cannot emphasize how wonderful this was for me! 8. With the Butler service you have the ability to have 24/7 room service and this includes breakfast brought to your room in the mornings. We enjoyed a wonderful breakfast on our cozy patio every morning with our favorite music in the background. I did notice quite a few envious eyes walk past us during those times. 9. Our Butler made all of our Day Excursion reservations for us. Like the restaurants, I knew what day excursions I wanted to do while in St. Lucia. I handed the Butler our list of excursions along with the dates we would like to do them and he took care of it from there! While waiting in the lobby with the other guests going on these excursions, our Butler would appear out of no where and offer us a beverage – this perk was better than you can imagine because St. Lucia is hot in September and we were stuck waiting in the lobby. Again, jealous eyes surrounded us from the other guests. 10. With the Butler level of service we had a fully stocked mini bar with all call brand names of alcohol. Upon check-in our Butler asked us what we drank and shortly thereafter our fully stocked bar was re-stocked with the types of drinks we prefer! Now, if you book through me as your travel agent, I will ensure they know what you drink ahead of time so it will be there waiting fro you when you check in! 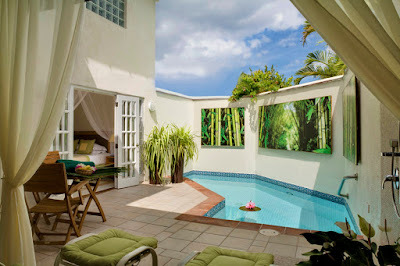 When you chose the Butler level of service at Sandals it insures that you have what they call the “WOW” factor. They will do something (for me it was a thread of birthday surprises – see previous blog) that will truly surprise you above and beyond your already fabulous Butler service. While I have listed some great experiences I had with my Butler service, I can tell you there is much more that I could tell you – for example the abundance of towels, how our Butler would appear out of nowhere to assist us, how our Butler always seemed to know where we were and what we needed, that my Butler actually ironed my slacks for me, and that your Butler will unpack and repack for you! These perks are difficult to explain until you experience them yourself. 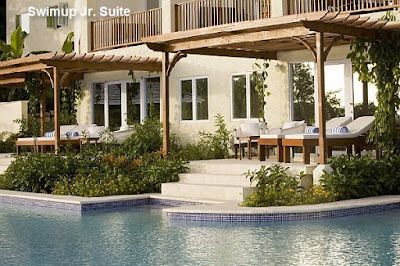 I truly recommend Butler service for you while you stay at Sandals. Contact me today for your free personalized quote for your next Sandals vacation! 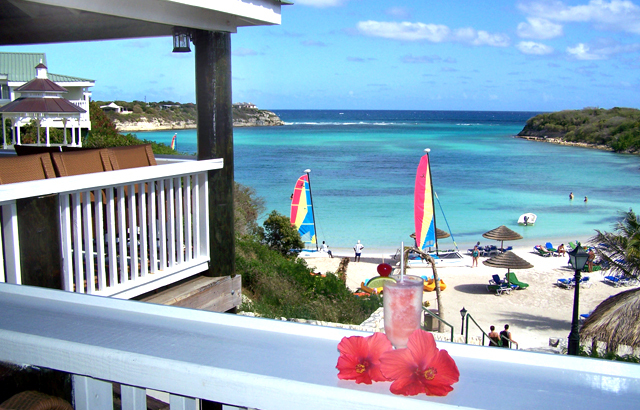 christy@caribbeanjourney.com or christy@barediver.com. I look forward to hearing from you! Celebrate your special occasion in style at Sandals Halcyon! Do you have a special occasion coming up and want a unique way to celebrate it? Maybe it’s your anniversary, your birthday or your significant other’s birthday, your honeymoon or possibly you want to get married or renew your vows? Sandals Halcyon in St. Lucia will roll out the red carpet to ensure your special occasion is absolutely magical and even more amazing than you had envisioned. At Sandals Halcyon, your special day can be celebrated privately or publicly – it’s all up to you! They can host your wedding or vow renewal in a beachfront gazebo, on the beach or in the gardens. They offer you a romantic dinner for two directly on the beach with your own private staff. Or you can chose to stay in your room and have an exotic meal delivered, champagne, or maybe even a bubble bath drawn up as a surprise to your significant other. I happened to be at Sandals Halcyon for my birthday and the surprises started in the morning and lasted the entire day! From special wishes from the staff, decorated tables at my meals, a personalized birthday cake with a singing staff in the evening and when I retired to my room it was full of balloons, cards and Champaign - with all of this attention, I truly felt like a queen for the day! Let me know what your special day is so I can ensure they do the same for you! Arrived in St Lucia, Sandals Halcyon. 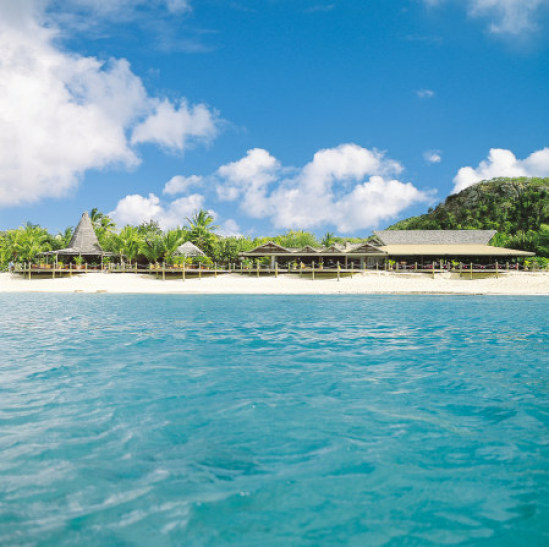 Looking for the perfect spot for a romantic getaway? May you are going on your honeymoon, renewing your vows or just want to keep the romance in your relationship – whatever the case may be Calabash Cove in St. Lucia is the perfect resort for you. Does the name seem slightly familiar? That is because the Bachelor was filmed here and we all fell in love with the hotel right along with the couples who were staying there! Calabash Cove has the perfect room for every need – they have the most amazing Water’s Edge Cottage, Swim-up Suites, and Sunset Ocean View Junior Suites. 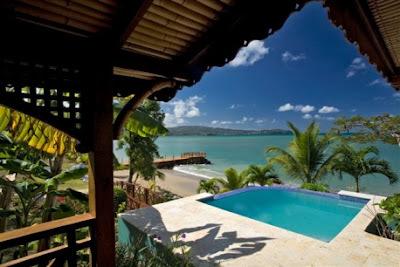 The Water’s Edge Cottages are literally your very own cottage with a private balcony and your own personal plunge pool! But the best part is that the Water’s Edge Cottage is right on the sandy beach and only steps from the ocean. It truly doesn’t get any more romantic than that! For those that want to keep the pool close at hand, Calabash Cove offers you Swim-up Suites with you very own patio that you can step right off of into a gorgeous infinity pool. Each balcony has luxurious chaise lounges as well as chairs for your every need. Take a midnight swim or swim to lunch – the options are endless! But fantastic lodging options are not the only benefit to staying at Calabash Cove – Calabash Cove has one of the very best restaurants on the entire island. Not only will your every bite take you bit closer to heaven, but Calabash Cove even offers you an all-inclusive plan so you can eat there nightly! My mouth is watering just thinking about it!